Our team offers extensive expertise on Western water law and policy. Our attorneys have been involved in some of the most cutting-edge water policy work in the nation, ranging from the negotiation of multi-state and international water management agreements in the complex binational Colorado River Basin, to the development of leading groundwater management legislation in Arizona and Texas, to the negotiation and adoption of a ground-breaking environmental flow law in Texas. Our perspective is informed by working for a broad spectrum of clients that includes municipalities, regulatory agencies, agricultural interests, heavy industry and energy developers, environmental organizations, water-related investment firms, and non-profit foundations. We offer a unique perspective on western water markets, cross-sector collaboration to provide water for people and the environment, and innovative approaches to reduce water-related risks in a changing climate. Representing leading nonprofit conservation organizations in a decade-long effort to restore the Colorado River Delta ecosystem and drive comprehensive reforms to the 1944 U.S.-Mexico Water Treaty, including the creation of a binational stakeholder process and negotiation of five new international agreements (Minutes 316, 317, 318, 319, and the recently-adopted Minute No. 323 to the 1944 Water Treaty). Representing nonprofit conservation organizations in ongoing efforts to enhance the Law of the Colorado River, including the negotiation of the 2007 Shortage Guidelines on the Colorado River, the development of the 2012 Colorado River Basin Study, and other key policy advances. Representing a major municipal water provider with regard to water policy and strategy matters related to the Colorado River, the development of water resiliency strategies to protect municipal water supplies from shortage risks, the allocation of water on the Central Arizona Project and the development and implementation of new water wheeling and exchange mechanisms, and other Arizona water policy matters. Developing and advocating for the adoption of a groundbreaking environmental flow law in the State of Texas. 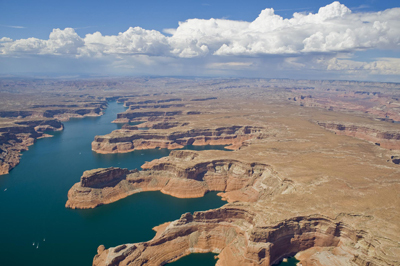 Advising The Nature Conservancy on the planning and operation of its seven-state and international Colorado River Program to promote conservation outcomes and sustainability in the Colorado River Basin. Developing and implementing "system conservation" approaches to manage climate and drought-related water risk. Representing The Nature Conservancy, the Sonoran Institute, and a major non-profit foundation on the development of regional water planning strategies and approaches for the water-scarce San Pedro, Verde, and Santa Cruz river systems. Developing groundwater planning policy and legislation to protect aquifer systems and secure water supplies for residential and industrial development in Arizona and Texas, and advising and assisting with the proposed reform of groundwater management laws in Nevada. Serving for more than a decade on the Arizona Colorado River Advisory Commission, advising the Arizona Department of Water Resources on policy matters related to Arizona's Colorado River allocation. Developing a three-county water supply and demand model in collaboration with the Arizona Department of Water Resources. Advising nonprofit organizations and private foundations on issues related to the Law of the Colorado River, western water law, groundwater management and regulation, and strategies for the protection and restoration of Western rivers and streams, and regional water planning issues.